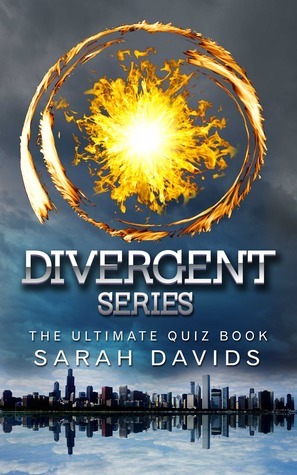 This challenging quiz book covers the whole Divergent Series (Divergent, Insurgent, Allegiant) by Veronica Roth and is the perfect addition to this dystopian classic. BUT, how much do you really know? How does Tobias stop the program? Where did the remaining Abnegation citizens go for safety during the war? This amazing quiz book is really a must if you are a true fan of this spectacular post-apocalyptic novel – Divergent. This was so great! The quizzes that I took for Allegiant were quite difficult and at times I had to cheat and look up a few passages from my Allegiant book in order to get the answers. The quizzes were really cool too because they were broken down into different categories and sections so you could focus on one singular part of the novel if you so desired. As someone who loves the Divergent series this was a great little companion to have to test my knowledge of the series. I am a huge fan of companion novels for any series but this was really cool because the whole thing was full of quizzes instead of focusing on one component of the series. Definitely something to pick up if you love the Divergent series!